How far would a candidate go to become the next president of the United States of America? Newsmaker Erica Sparks is covering the presidential election campaign. As she questions and witnesses the interactions between the candidates she begins to suspect that one of them, Mike Ortiz, is dependent on his wife. To an unnatural degree. What is this seemingly perfect couple hiding? Can Erica figure it out before the vote is cast? Or is she being paranoid? 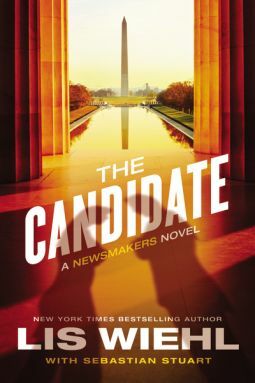 This is book two of The Newsmakers Series and I have not yet read book one. However, I did not feel as if I missed out on anything. I really liked diving into the back scenes of politics. Usually these types of stories are not my cup of tea but I could hardly keep this book down. I wanted to know what Erica would discover next. What was really happening? I very much enjoyed the book and I look forward to more from Lis Wiehl.